Work has started at UEA to prepare the site for the new Enterprise Centre, to be built opposite the Sportspark next to University Drive. 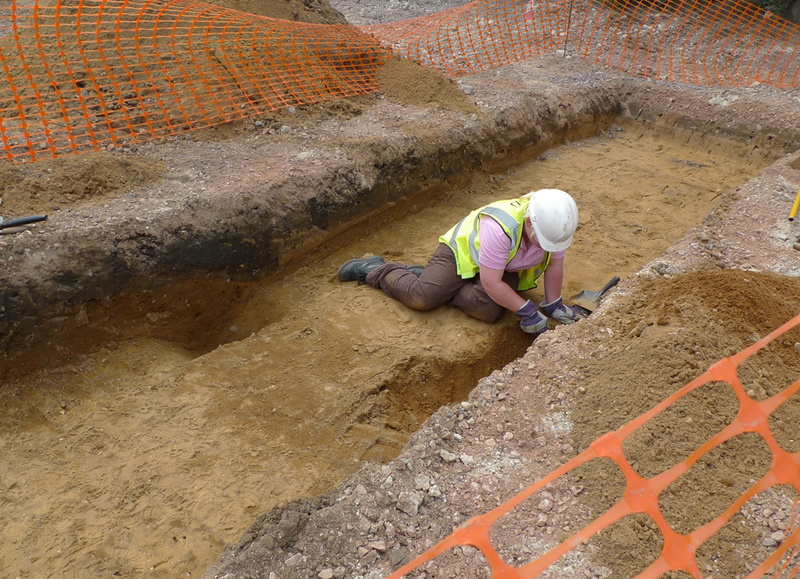 Archaeologists from L-P Archaeology have recently been investigating the site and last week invited us along to see how things were progressing. 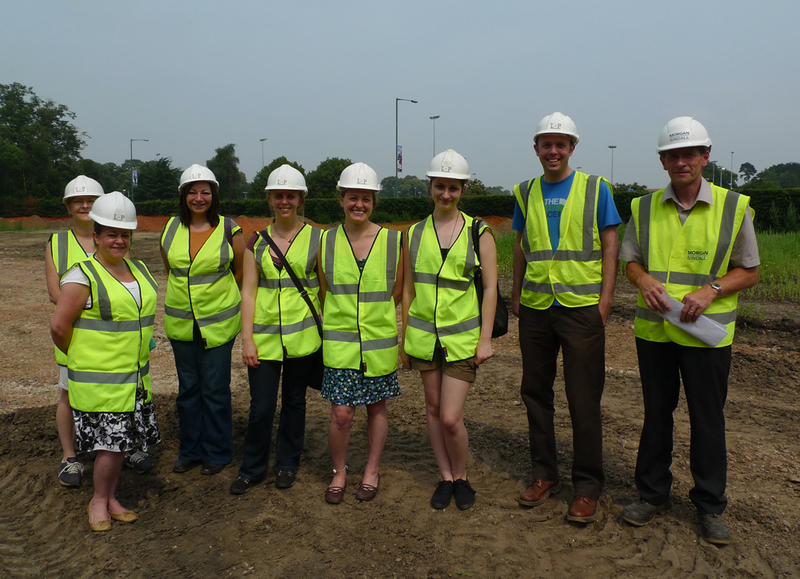 Further work is scheduled to take place over the summer so look out for future updates. 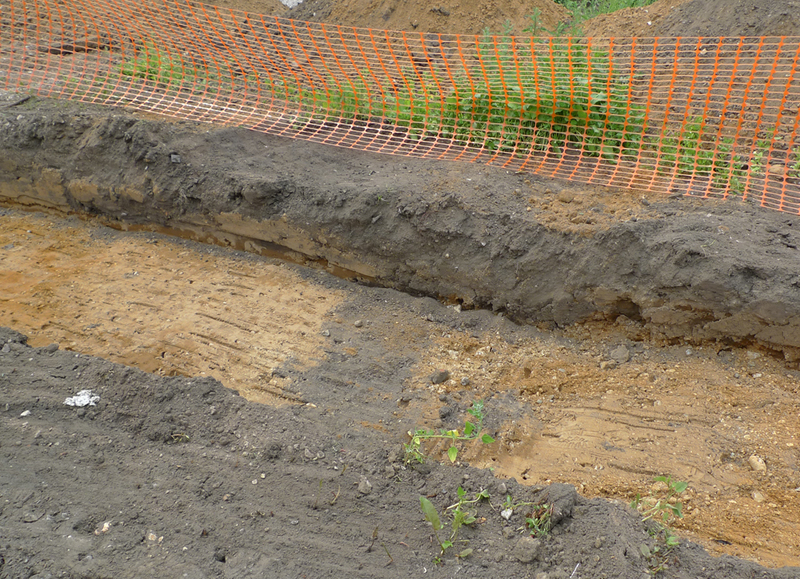 A small but well preserved curving ditch feature, possibly prehistoric in date although no dateable finds have been recovered. The buried remains of a former hedgerow, showing up clearly as a dark humic patch alongside the lighter sands and gravels. So, an interesting assortment, but nothing that will significantly change plans for the new building. You can see some artist’s impressions of the new Enterprise Centre here on the Architects’ Journal website and learn more about the project on the UEA website. Many thanks to John from L-P Archaeology and Ken from Morgan Sindall for providing us with an informative and entertaining tour of the site. 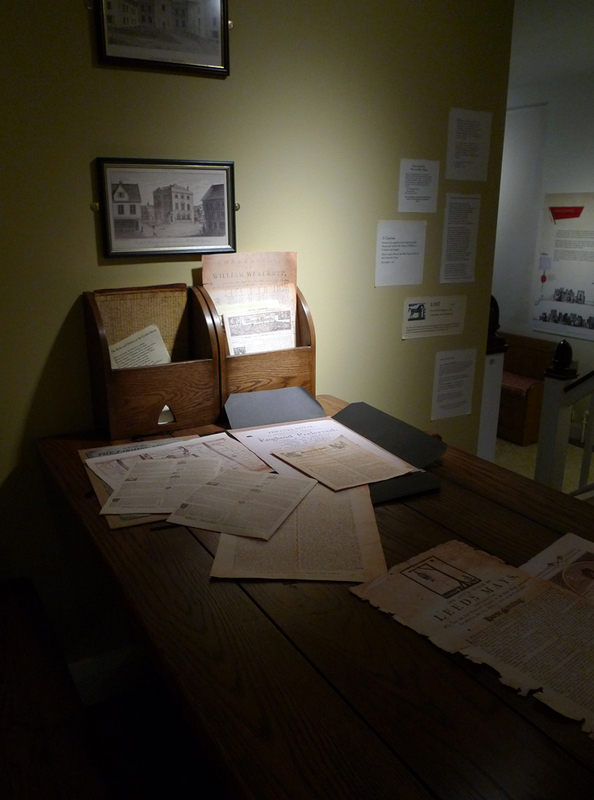 Earlier this month the Bridewell Museum reopened in Norwich, after a £1.5m revamp. The new galleries are very impressive, telling the story of the city from the medieval period onwards. 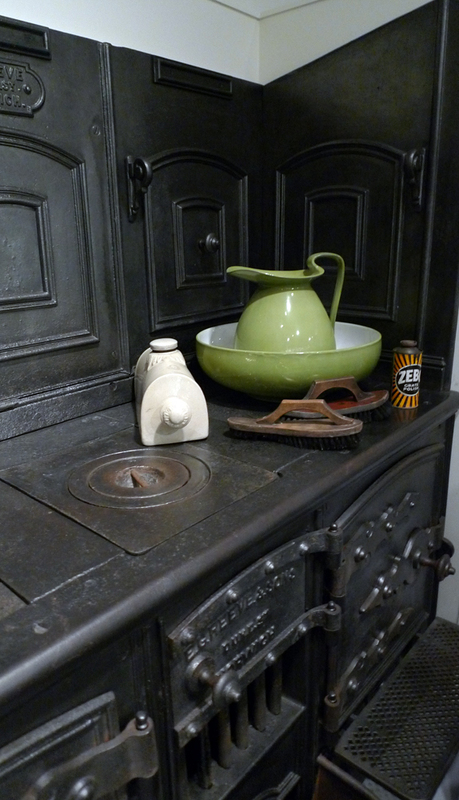 The museum focuses on the cultural and industrial history of Norwich, as well as the daily lives of its inhabitants. 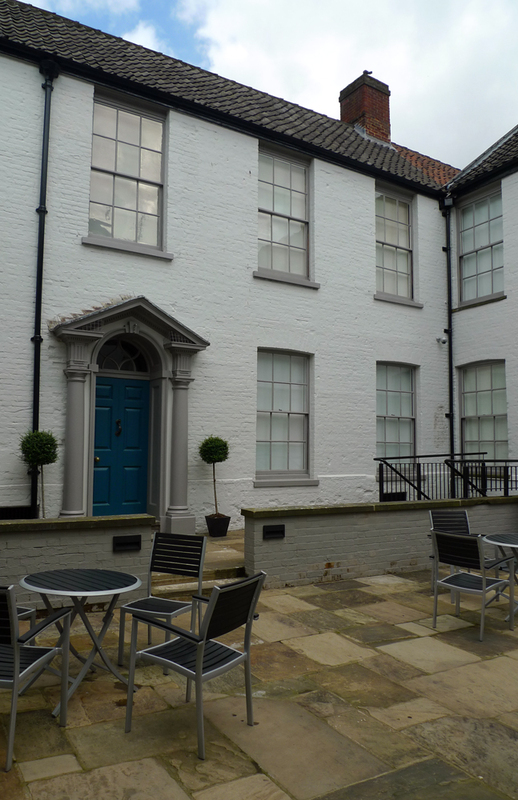 One of the first new galleries is a recreation of an eighteenth-century coffee house – Norwich was well-known in the period as a cultural and social centre. In the coffee house you can try on wigs and tricorn hats, as well as leafing through copies of the eighteenth-century newspapers produced in the city. 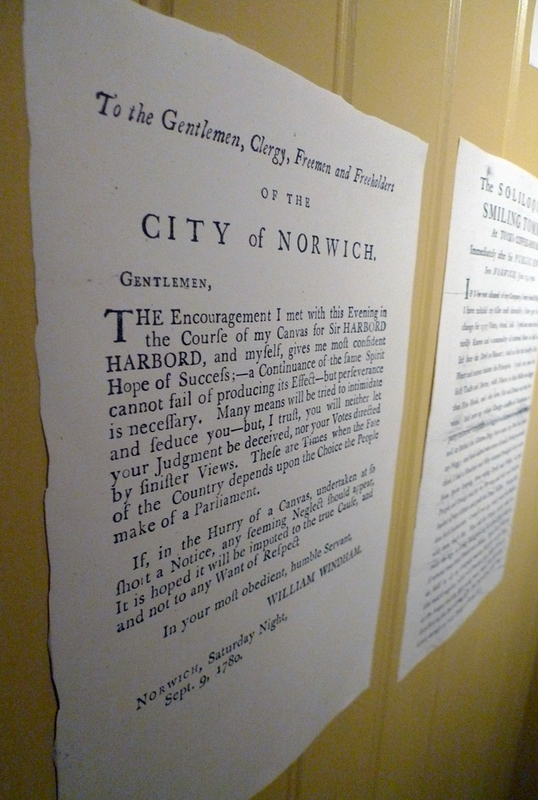 If a stranger was only to ride through or view the City of Norwich for a day, he would have much more reason to think there was a town without inhabitants… if he was to view the city, either on a Sabbath-day, or on any public occasion, he would wonder where all the people could dwell, the multitude is so great. But the case is this; the inhabitants being all busy at their manufactures, dwell in their garrets at their looms, and in their combing-shops, so they call them, twisting-mills, and their other work-houses, almost all the works they are employed in being done within doors. 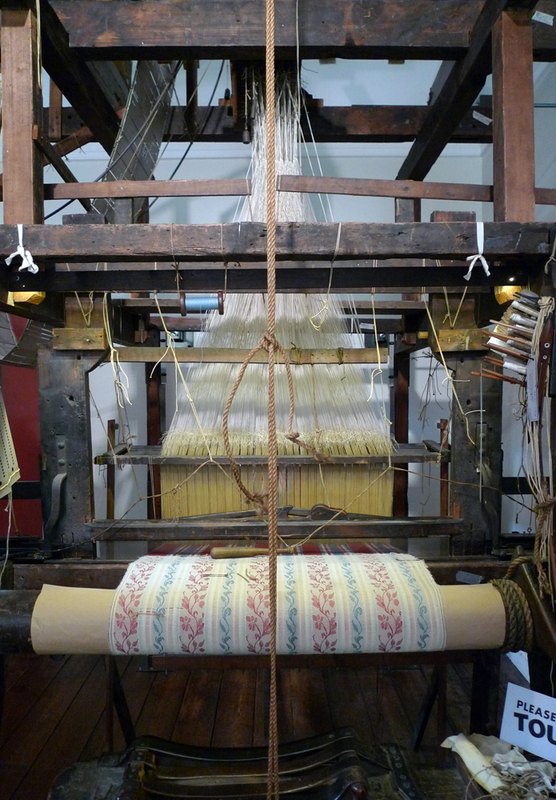 The museum has many examples of the cloth produced in Norwich – dresses, shawls, pattern books and more, as well as a jacquard loom – one of the last examples which was still working in the early 20th century. 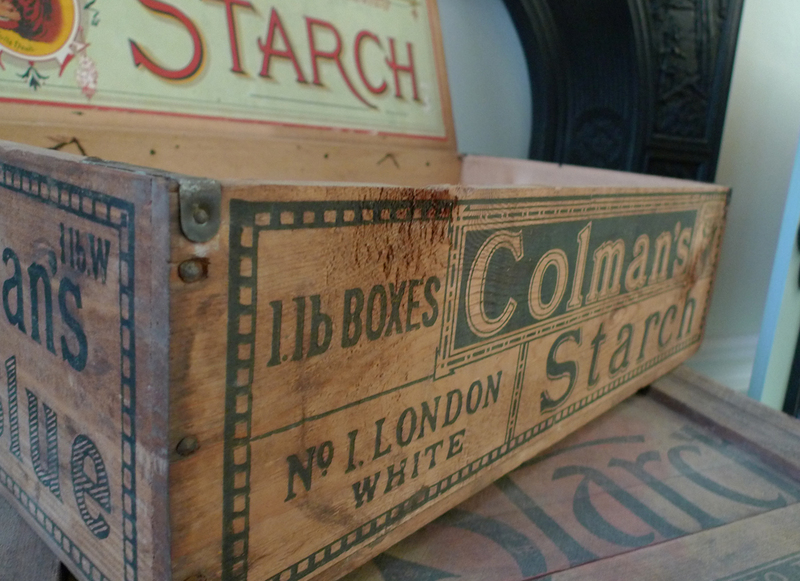 Colman’s, of course, get a look in, as do Caley’s, Boulton and Paul, Start-Rite and other local companies. 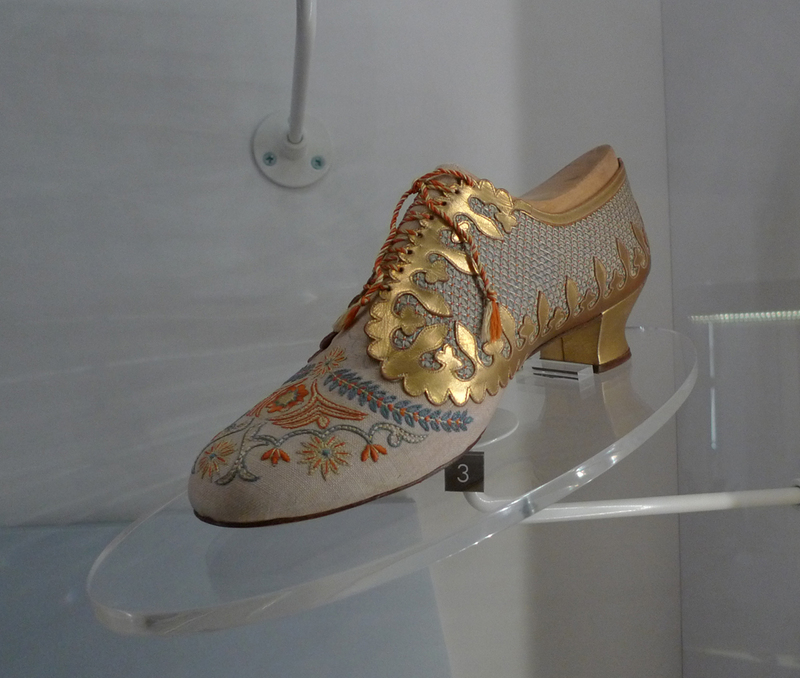 There are more than 5,000 objects on display, as well as many more in drawers which you can explore for yourself. In the entrance is a giant photo mosaic, the History Wall, made up of photographs of the city and its people contributed by members of the public. You can see some of the individual photos in the project Flickr pool, but it is worth a visit to see them all together on the History Wall. We thoroughly recommend a visit if you are in Norwich – opening times and other details are on the museum website. Each summer, as most students prepare to head home after exams, we gear up for our annual Field Course. 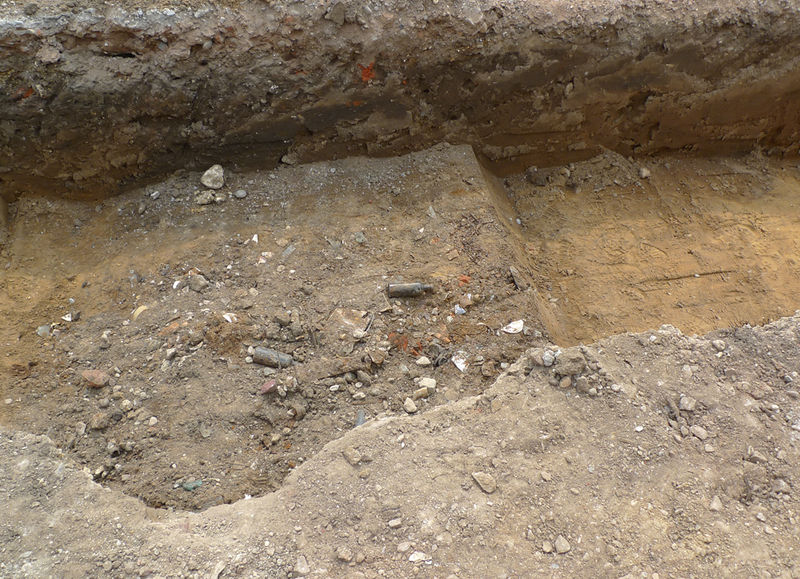 This means five days on site surveying earthworks, buildings and anything else we come across that looks interesting. The fieldwork eventually leads on to a longer research project for the students, but on a warm* day in June that all seems a very long way away. 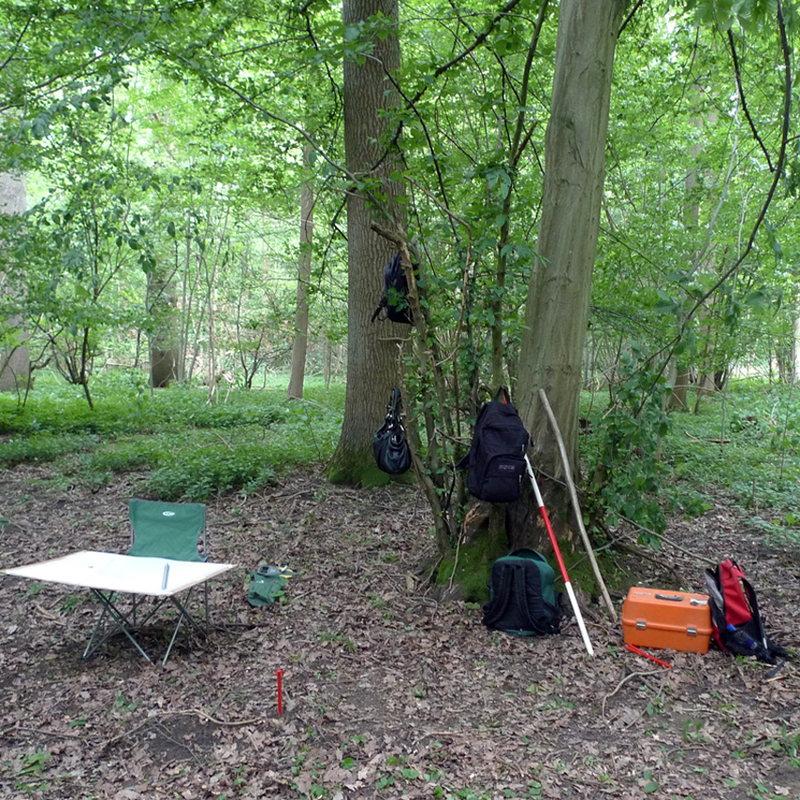 *Disclaimer – fieldwork days in June may not always be warm. 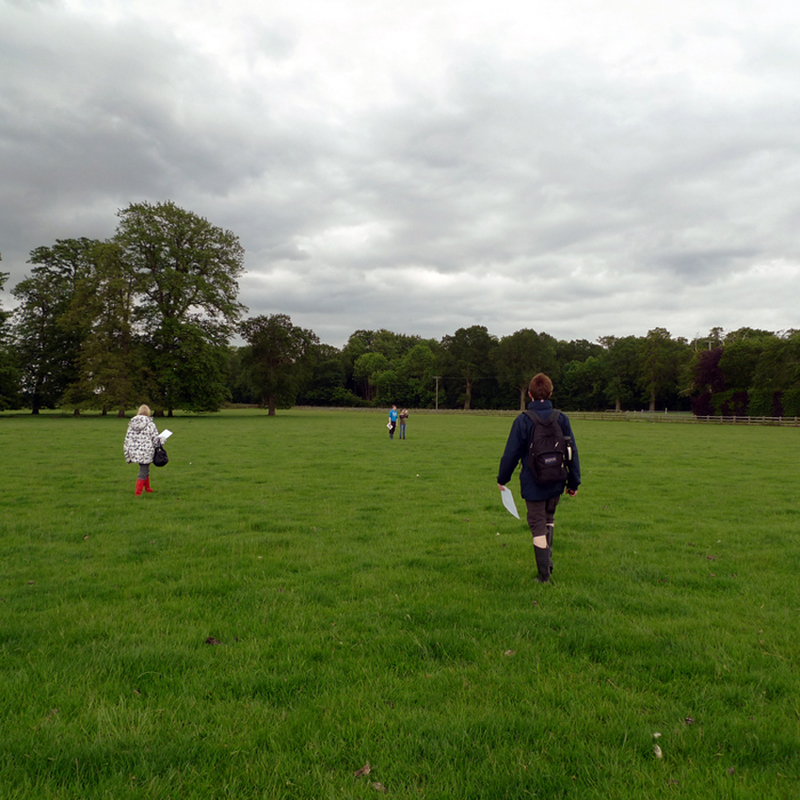 This year we were once again in south Norfolk, exploring ancient woodland and moated sites in the claylands of the Waveney valley. 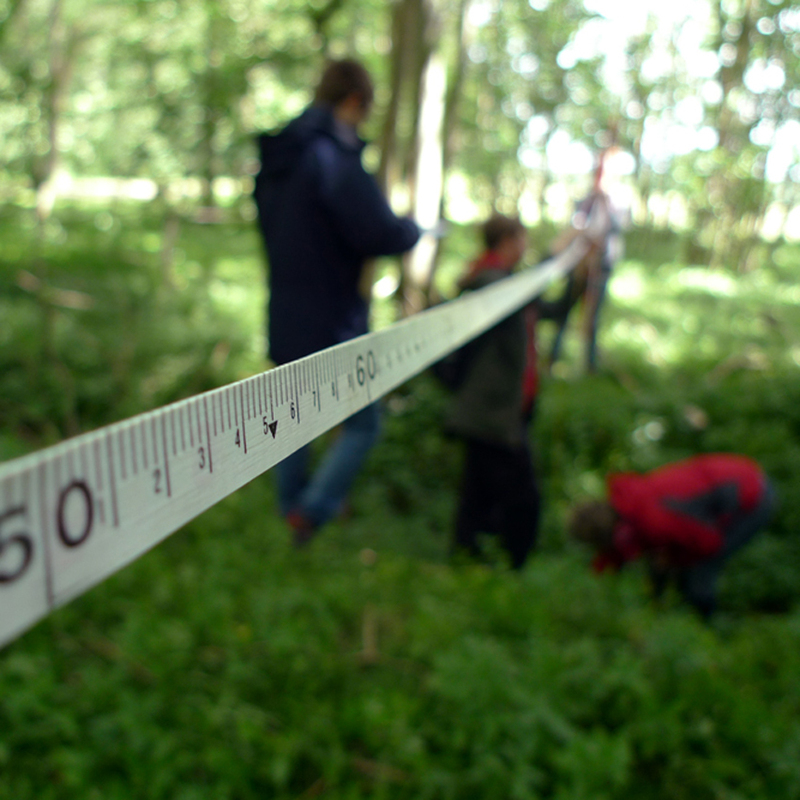 The students coped admirably with the challenges of surveying in woodland, including sighting a prism through 75m of hornbeam coppice in full leaf. Many happy hours were also spent exploring sections of woodland and puzzling over species composition and a confusing array of external and internal boundary banks and ditches. In the middle of the week our lunch break was interrupted by several large planes overhead, two of them with fighter jets alongside. 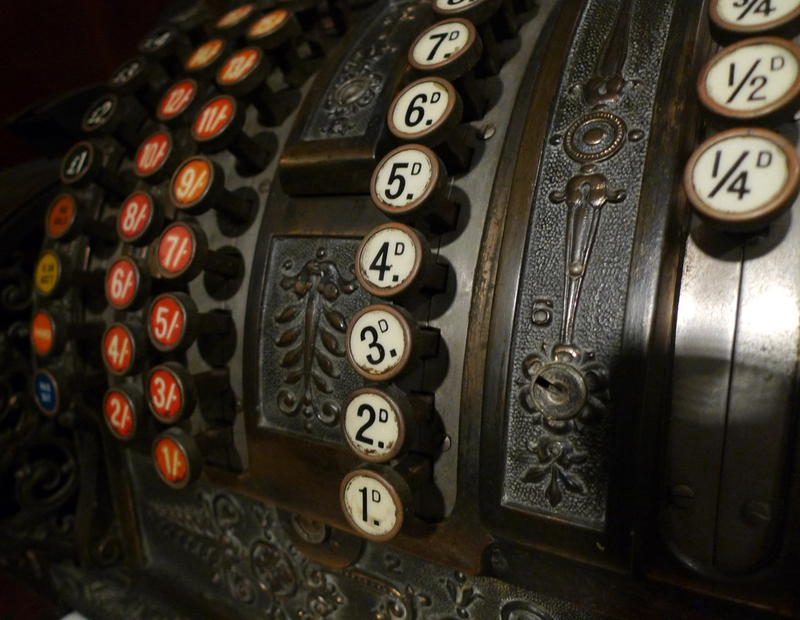 Interesting, if a little odd, we thought, and promptly returned to surveying. At the end of the week all became clear when we saw the same planes in the same formation on the news, as part of the Trooping the Colour flypast. 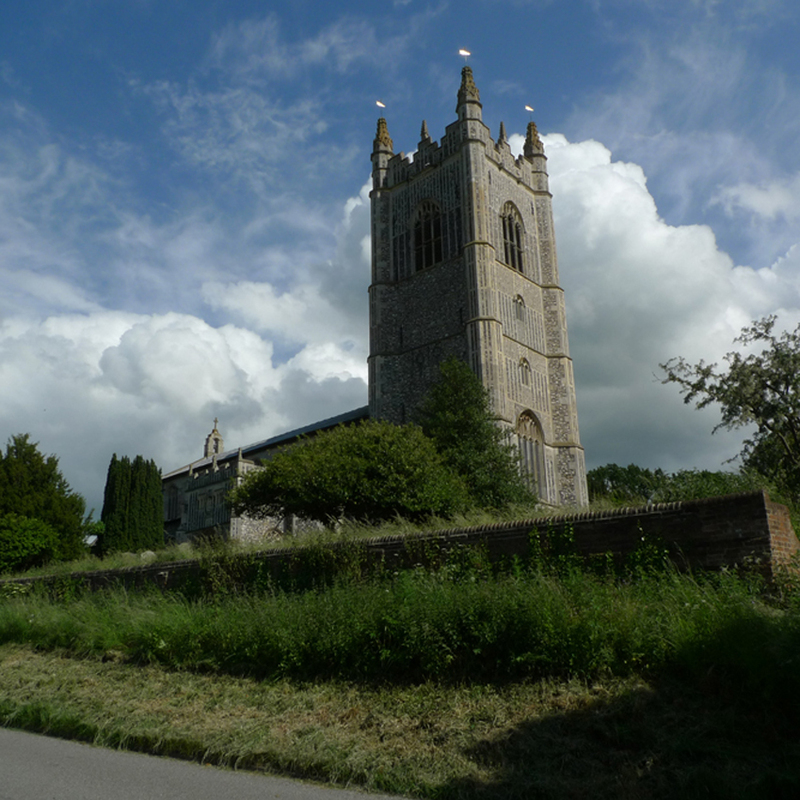 We ended the week in glorious sunshine (unusual for a summer field course) at Redenhall parish church. Much of the building dates to the 15th century and was funded by the De La Pole family. As usual in these circumstances though, we defer to Simon Knott’s excellent Norfolk Churches website. We’ll be returning to south Norfolk in the autumn semester to continue work on drawing up and refining the earthwork plans, and hopefully to piece together a little bit more of the landscape history of this area.